The James Morehouse Project works to create positive changes in the El Cerrito High School community through health services, counseling, academic support and the arts.  Founded in 1999, the James Morehouse Project assumes youth have the skills, values and commitments to make positive change happen in their own lives and the life of our school community. The James Morehouse Project partners with community and government agencies, local providers and universities.